Another trip for gas and birding. 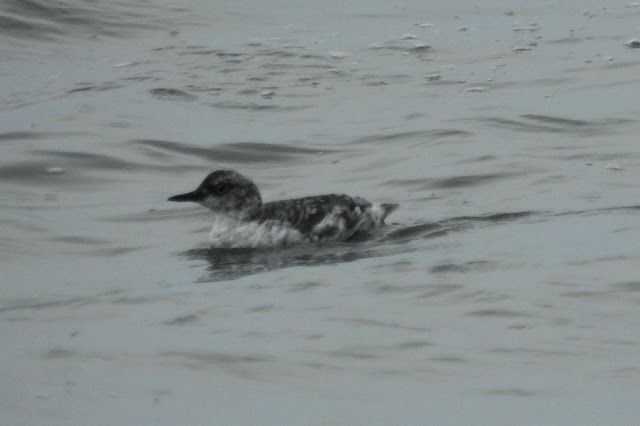 The weather conditions were reasonably good, but the active surf could make it hard to take good photos of birds on the water. I did get some shots of Pigeon Guillemots near the shore. They look completely different in their Basic plumage. 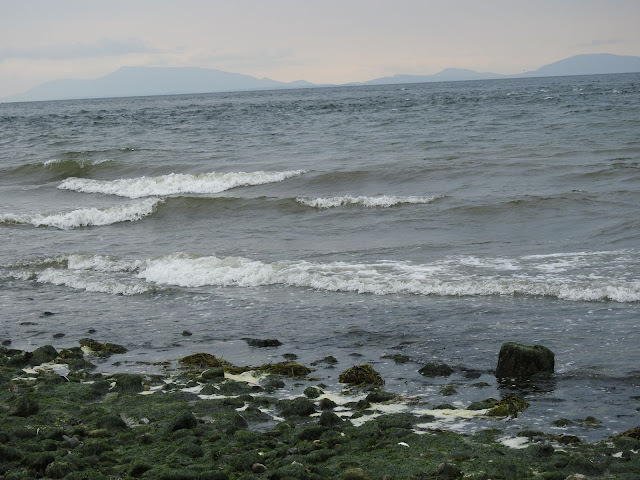 My blog post from North Vancouver in June shows them in Alternate (Breeding) plumage. I saw a couple of people I knew from the Delta Naturalists group who were down on the shoreline. The were looking offshore at a group of Gulls in flight. I then saw that a larger bird was harassing the Gulls and immediately realized it was a Jaeger. 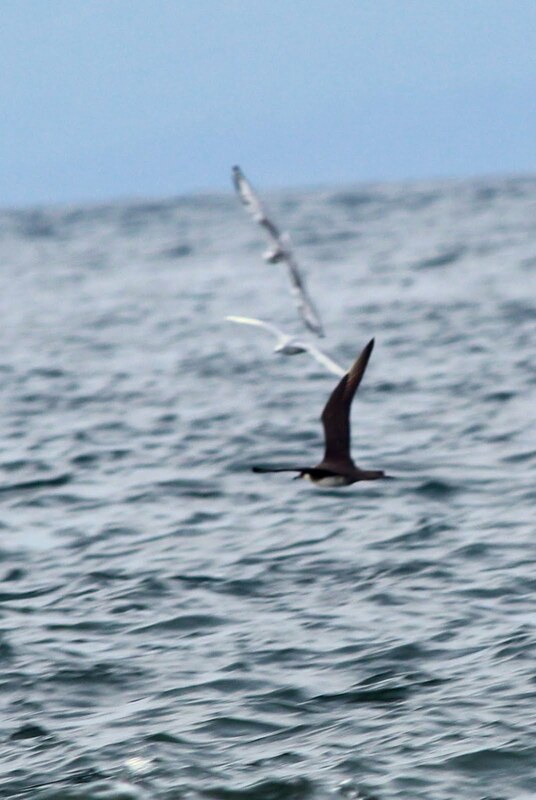 These oceanic birds are seldom seen this close to shore, but there had been some sightings here in the past. 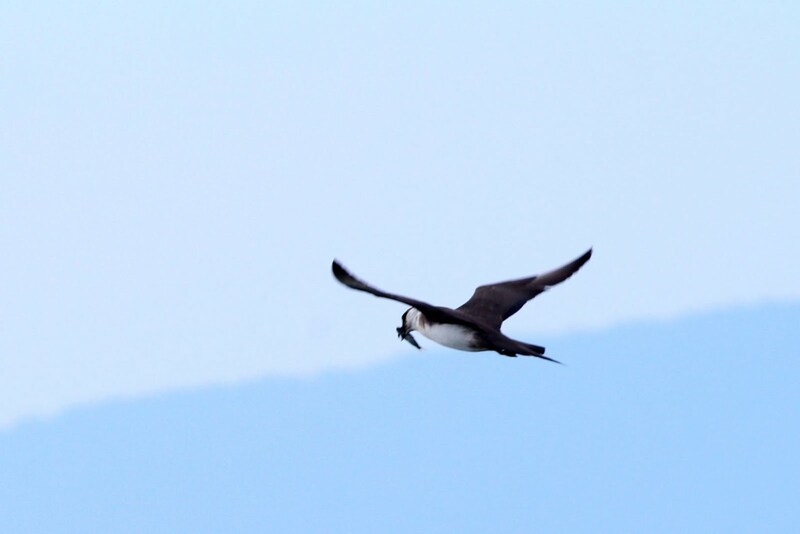 I took some shots and confirmed with the others that it was a Parasitic Jaeger, my first lifer in almost a year! The reason they watch and then chase the Gulls is to steal fish that they catch. They are bigger and faster than the Gulls, and this is quite often the end result. This shot is the best one and shows the unusual tail shape that this bird has. This is my second Jaeger species, I saw a Pomarine Jaeger in 2015 on a pelagic trip off Ucluelet. 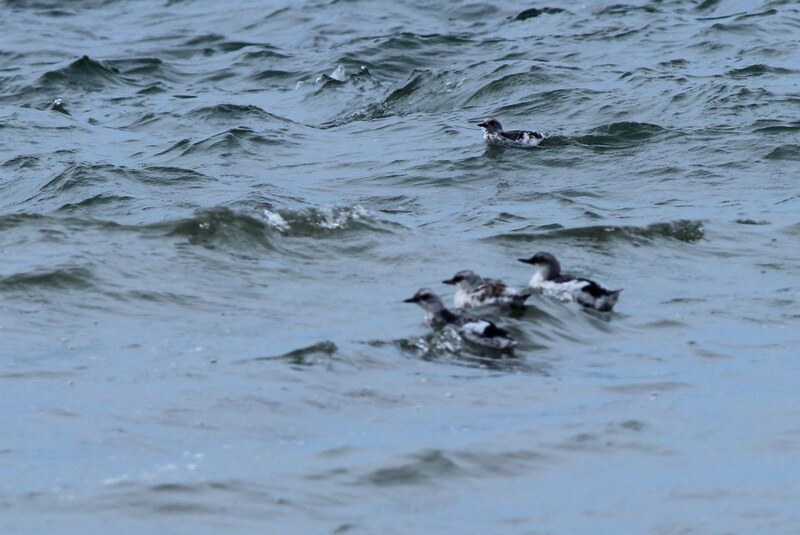 After that excitement it was back to the Guillemots, I suspect the two in the foreground are first year birds. 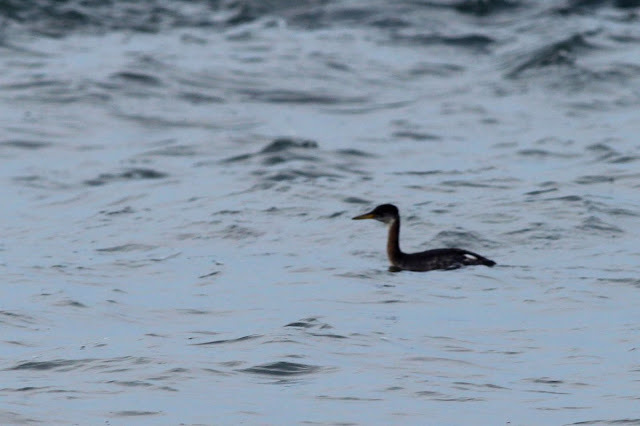 Further offshore were a pair of Red-necked Grebes. I isolated on the the closer one with the Nikon. 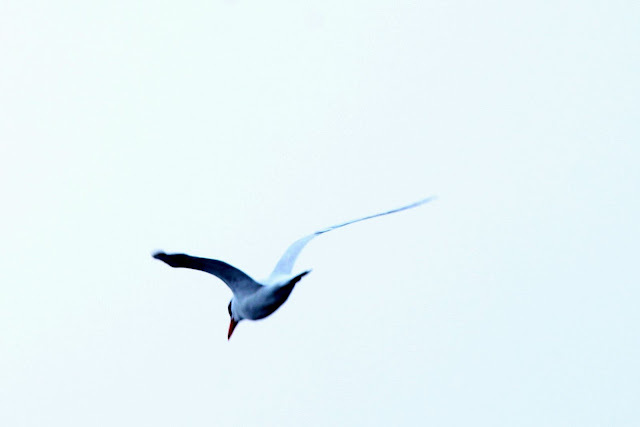 A large Tern flew overhead and I only had time for one shot, the large red bill identifies it as a Caspian Tern. 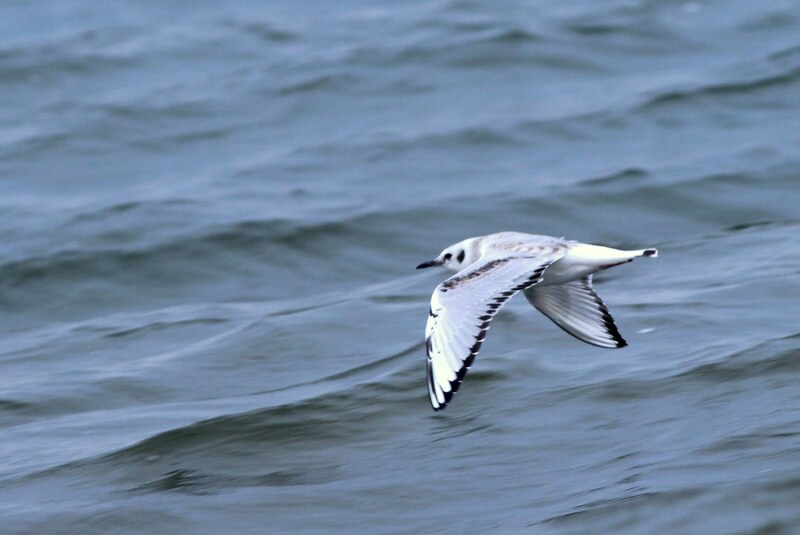 My last photo is a close-up of a Bonaparte's Gull. 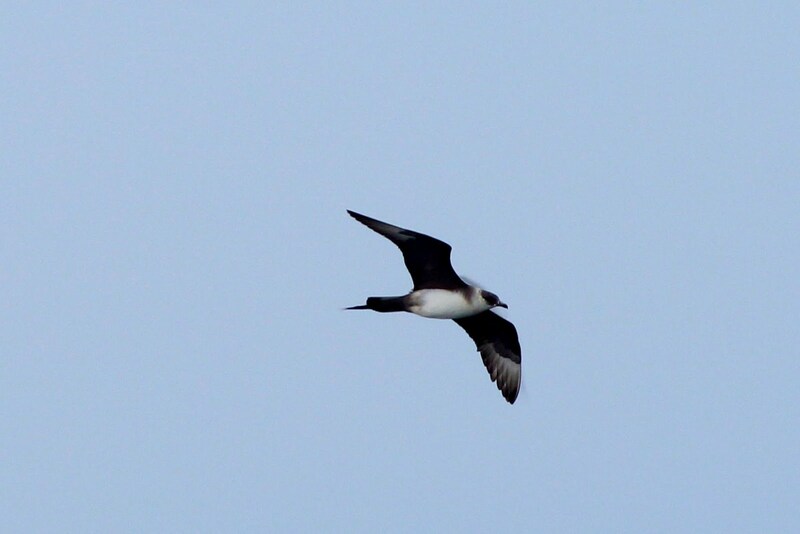 Earlier there had been a large flock of them far offshore. They might have been the catalyst for the Jaeger to come looking for food. When in Alternate plumage this gull features a black head. In winter it reverts to the more subtle Basic plumage. It was time to gas up and head for home to brag about my new life bird.